One of the easiest ways to change up the look of your kitchen is to switch out the hardware on your cabinets and appliances. Styles of kitchen cabinet hardware are constantly changing, meaning there are new options to consider every year. Below are a few kitchen hardware ideas to get you inspired to alter your kitchen décor. And, don’t worry, your upgrades don’t have to break the bank either! Skylights are a great alternative for any home as they allow natural light to enter a space. By opening up a room to outside lighting, you are making the space more inviting and adding a sense of warmth. Depending on the type of installation, you can benefit from ventilation, cost savings and of course the additional light when installing a skylight. So, where should you install skylights in your home? Below are a few ideas to get you started. If you are designing a new home or renovating an existing house, adding a deck is a great place to start. Decks not only allow the perfect outdoor space to relax, enjoy a view, and entertain guests, but they can be very affordable too. You can choose from a range of deck designs, brands, railing styles, and paints and stains. If you’re ready to start a deck project, we have a breakdown of the deck ideas and materials you will need to transform the exterior of your home. An excellent way to add value to your home is through renovations. Home renovations can be simple or complex, depending on your preference and budget. The possibilities are endless. Here are some of the common areas of renovation that add value to your home. Choose one that works for you and start adding value to your home. We all know that the kitchen is the heart of the home. In this area, we prepare meals and have a wonderful time enjoying food with family and friends. While a kitchen is a central space for cooking, many homes include a kitchenette for convenience. A kitchenette is a small kitchen area that can be found in certain areas of the house, used for light refreshments or snacks. If you have space, a kitchenette can come in handy and add value to your home. Read on to learn more about the best places to add a kitchenette in your home. If you are thinking of carrying out a kitchen remodeling project, you should understand that this is a significant undertaking that requires a serious budget, time, and effort. This means that you need to carefully plan every detail depending on your needs and budget, as well as find a reliable contractor that will help make your vision a reality. 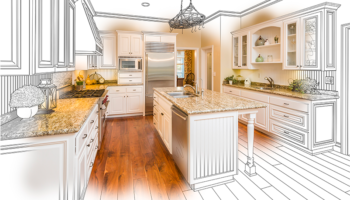 To help you get started in the planning process, you may want to consider the following popular kitchen remodeling layouts. Are Heated Bathroom Floors Worth It? While it is becoming quite popular, the question remains, are heated bathroom floors really worth the expense? Here you’ll discover a few benefits you should know about and also a few disadvantages to consider as well. If you’re thinking of installing heated bathroom floors in your home, here’s what you need to know. Updating your kitchen can have long-lasting effects, not just on the look and functionality of the home but your diet as well. Often, an outdated, cluttered kitchen can cause you to choose unhealthy food options, as you have less space to wash and cut produce. Redesigning a larger, efficient kitchen will provide you the opportunity to cook and prepare your meals with ease. Thus, leading you to cut down on and avoid going out to eat regularly. Read on to find out how updating your kitchen can transform your healthy eating habits. The kitchen is the heart of the home, an area where families like to gather and prepare meals. What better way to prepare lunch or dinner than from your own herb garden? A herb garden in kitchen spaces is a great addition, providing a healthy way to prepare meals. There are many ways to add a herb garden to your kitchen, including traditional clay pots, but what’s the fun in being traditional? Read on to see how you can add real herbs to your home with style, making it fun to cook with various tasty items. Knobs vs. Pulls – Which One Is Better?